If you are new to the gym or are just beginning to get into exercising, first off congratulations! You are one step closer to a happier and healthier you! Something you need to check is if you are prepared to start this. So take the short quiz below to answer the question: “Are you ready to workout?” and see if you are ready to step in the gym right now, or need to take a minute and change some things beforehand. 1) What should you plan on doing before going to the gym? 2) How long do you stretch and what do you stretch before exercise? 3) What is proper exercise attire? 4) What kind of diet do you have? 5) How much water do you drink a day? 6) Have you consulted your doctor or physician to ensure you are physically ready? 7) How much sleep am I getting? 7 points to 14 points – The Newbie: Don’t worry about having a lower score! Everyone starts here! I would suggest doing some personal research on workouts you’d like to do, proper attire and diet, as well as how to obtain your goals for health and fitness. For more help, try booking a session with a Warhawk Fitness Personal Trainer. All you have to do is stop down in Room 100 (in the Williams Center) and ask about our stellar Personal Trainers. 15 points to 19 points – Average Joe: You’re on the right track, right on! You have some adjustments that need attention, but you have the intention of getting better with your health­, and that’s important! 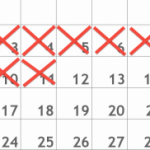 20 points to 24 points – In Training: Looks like you are doing pretty well. Other than a few tweaks with your workout routine here and there, you are doing good! You have a good foundation built for your health, you are mostly ready to commit to a workout plan. If you’d like to switch things up a bit, try a Group Fitness class! We offer Cycling under the Wells Towers, and plenty of other classes like Yoga and Core Complete in the Williams Center! 25 points to 28 points – The Knowledgeable Nugget: Congratulations! It sounds like you know what you are doing. You are prepared physically to start exercising to the best of your abilities! Thank you for taking this quiz! Essentially, if you answered any “A” options, you should try to work at those questions, and turn them into answer “D”. Go like Warhawk Fitness on Facebook and follow us on Twitter and Instagram! For more in-depth answers to all of these questions, please visit my next post! 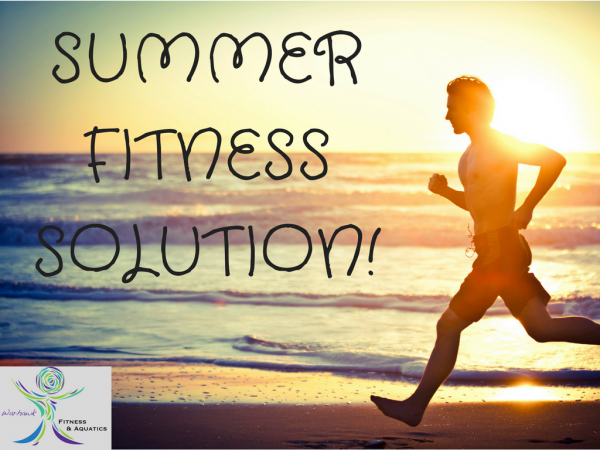 Now that we are into the summer, one of two things tend to happen to peoples’ fitness plans and goals. You either are doing fine; and with summer here you have more time to pay attention to it, or–the more popular one–you are slacking. Whether it be because the summer season has gotten you lazy, or because you are consumed by other things such as work or family, you aren’t staying motivated with what you want fitness wise. Instead of giving up, try some of these quick suggestions to get your motivation rolling again this summer! 1) Create achievable goals. In the summer, people tend to get all gun-ho on how they may drop 30 pounds or get washboard abs or whatever it may be. All though that is all good thinking, step back and evaluate your goals and make sure they are something you can realistically reach. Even if they sound attainable, they may not be for everyone since everyone is different. 2) Use the summer to your advantage. With the warmer weather, we can use this as an outlet to become more active. Summer opens up the options of riding your bike, swimming, hiking, kayaking, seasonal outdoor sports, and so many more activities! Keep your mind open to anything you can do outdoors; all that fresh air will be great for you! 3) Have others hold you accountable. It’s easier when you are not alone. Tell your friends, make a Facebook post, anything that is an outside source to keep you motivated and focused on your goals. For me, I like to use apps on my phone to help me be reminded daily of my goals. For app ideas, you can check out The 25 Best Fitness Apps of 2017 to see what kind of apps are out there that would work for you. These are all things I personally try to keep in mind over the summer for my personal fitness goals. These tips are actually applicable to most things in life, not just fitness. These are great ways to help you achieve general goals. And keep you away from that Summertime Sadness! (Also, last tip, don’t listen to Lana Del Ray. She’s so negative about the summer season). For more information on how to stay motivated this summer, check out this link! As young college students, we are constantly stressed about something. Whether it’s a big test, our work schedule, or our lack of money, there are a lot of potential stressors out there for young people. While there are probably tons of methods out there that will help you to minimize your stress levels, I believe that there is one very simple solution that is constantly overlooked: Treating ‘yo self. If you are not a fan of the T.V. Show Parks and Recreation, you may not understand this reference, though it is pretty self-explanatory. 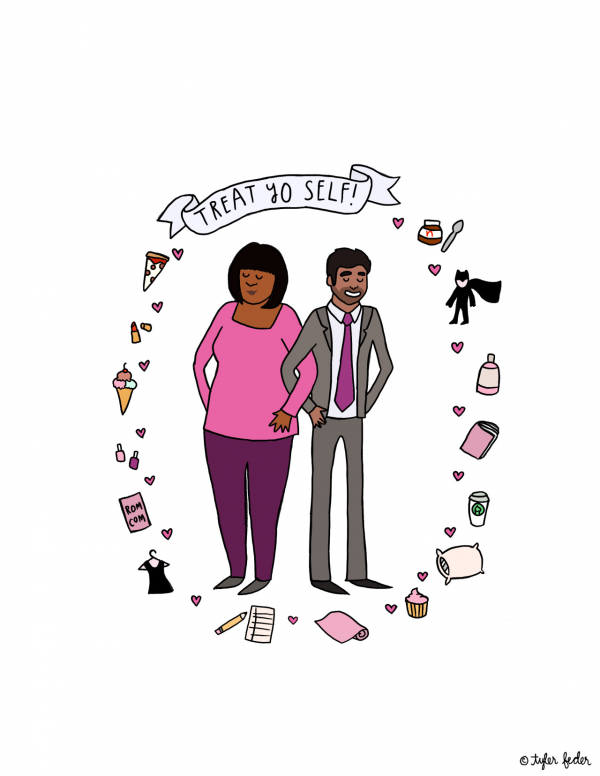 The basic idea of “Treat ‘Yo Self” is that you deserve to reward yourself for events like a job well done, or a stressful experience you’ve just endured. It’s important to remember though, that when you are treating yourself, the actual reward is not as important as the act of rewarding yourself. Was that a little confusing? Let me try again. Basically, it doesn’t really matter if you treat yourself with a bowl of your favorite ice cream flavor, or if you buy yourself a really expensive watch. The actual act of planning something nice for yourself is far more important than the actual, physical reward. When you plan something nice for yourself, two amazing things happen: you will have something to look forward to and you will become your top priority. Next time you have a major project, or an important goal to achieve, plan to do something nice for yourself. It will go a long way.